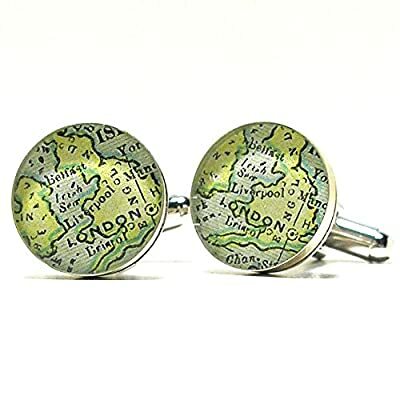 For those who travel, collect old maps or dream of where their journey's will take them someday, a piece of heirloom quality custom cufflinks to preserve your most treasured memories. 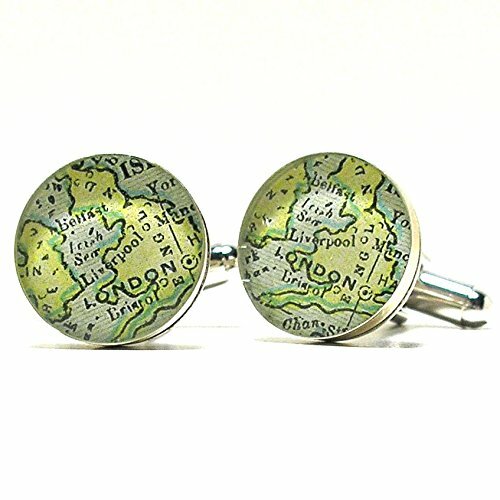 Cufflinks feature a map fragment from an 1899 antique world atlas from my collection. A traditional + timeless shape in sterling silver, handmade in Florida in small batches by one independent designer. Round of each cufflink measures .60"d and is SOLID STERLING SILVER. Map is preserved under a magnifying, doming jewelry grade resin. 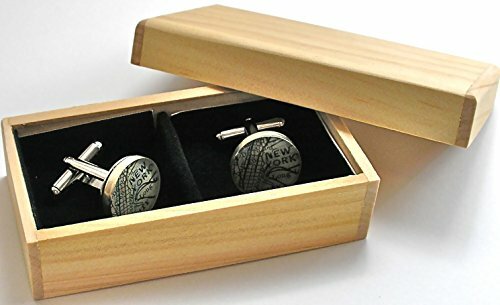 Your purchase will arrive gift ready, in a beautifully handcrafted box made from pine harvested in a managed forestry in Costa Rica.